It's been almost a year since Lenovo Unveils tablet Miix 310 which is a 2-in-1 (commonly referred to as tablet hybrid) based Windows OS, Lenovo is now rumored in the near future will be releasing its latest generation of tablets is the successor of Lenovo Miix 310, named Lenovo MiiX 320. 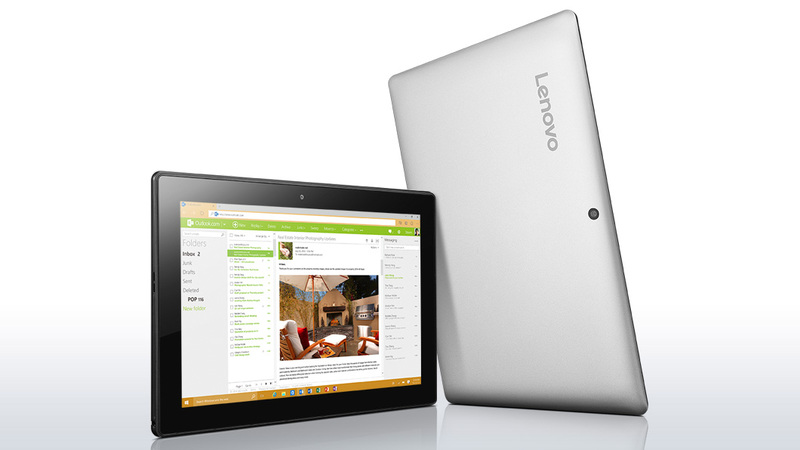 As for the latest generation Lenovo hybrid tablet is to be unveiled at MWC 2011 which will be held on February 26, 2017 in Barcelona, Spain. Offered from Gizchina, there is a distinction with a selection of other tablets in the portfolio crime family, Lenovo tablet Miix 3xxx Designer does not display the kickstand (such as Microsoft Surface Model) and use the connector "hinge" that conventional and sturdy as a tablet model Asus Transformer. Lenovo MiiX 320 aimed at middle-class market-entry level and the user needs to enjoy the multimedia features. According to information leaked today on Weibo, Lenovo Miix 320 runs Intel Atom processor X 5-Z8350 SoC, with 2 GB of RAM or 4 GB of RAM. These tablets will be provided with a screen of 10.1 inches with a resolution of 1920 × 1080 pixels, supports USB port Type-C and dual stereo speakers embedded in the front and at the bottom of the device. The Tablet offers a standard specification but at an affordable price to classmate tablet hybrid, i.e. USD $220 (equivalent to IDR. 2.9 millions).